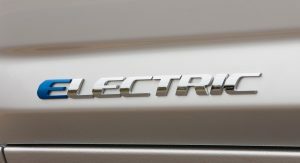 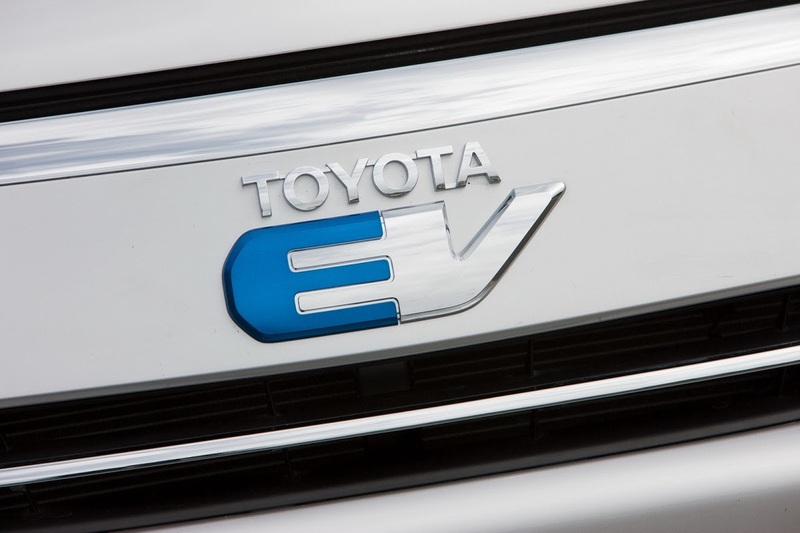 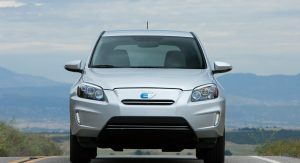 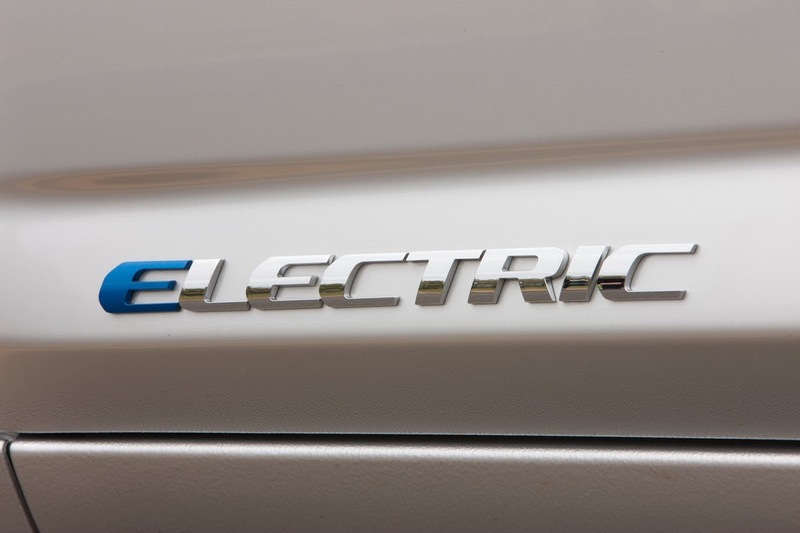 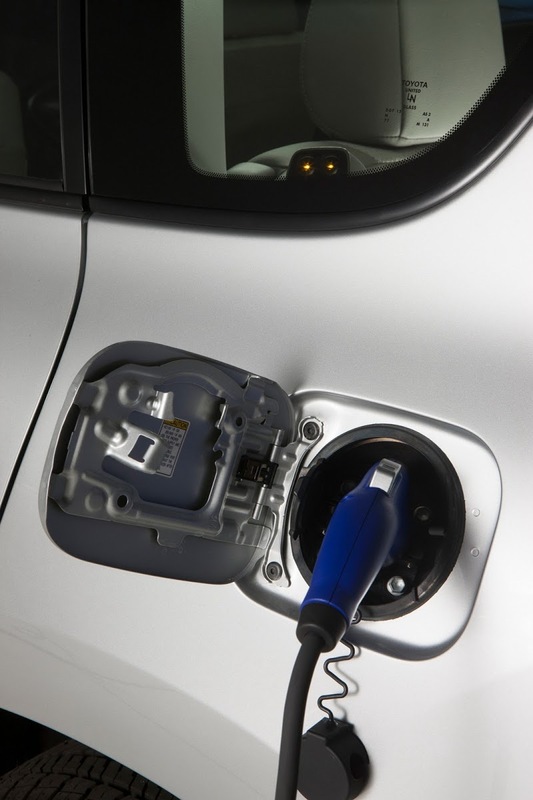 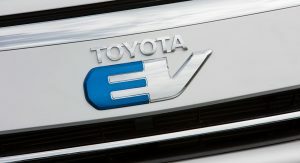 Toyota chose the second day of the 26th annual Electric Vehicle Symposium in Los Angeles to present the world premiere of the production RAV4 EV featuring a pure-electric driveline developed by Tesla Motors. 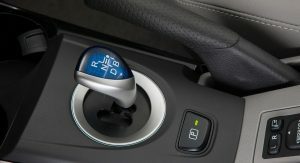 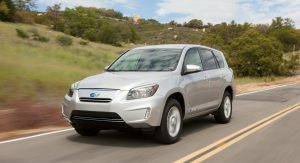 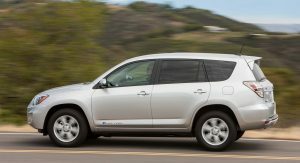 While based on the current RAV4, the Japanese automaker is commanding almost twice the price of the popular SUV’s top trim-level (Limited: $25,530) for the electric model that will begin arriving in select showrooms this summer with an MSRP of $49,800 before any state and federal incentives. 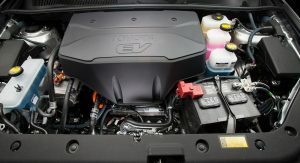 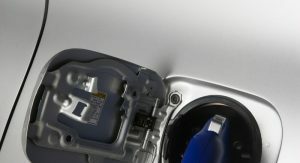 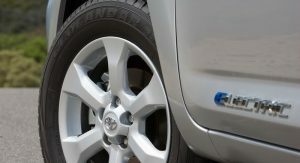 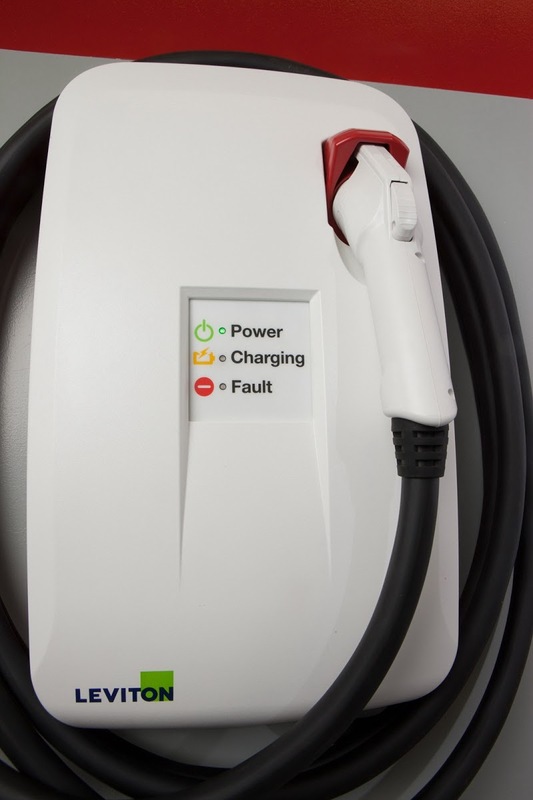 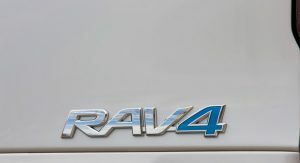 The RAV4 EV’s Tesla-developed driveline combines an electric motor producing a maximum output of 154hp (115kW) with a battery mounted low and to the center of the vehicle. 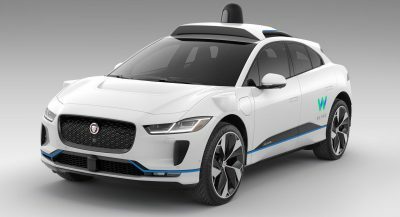 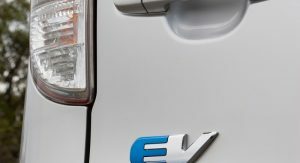 The front wheel drive-only electric SUV allows drivers to select from two distinctly different drive modes, Sport and Normal. 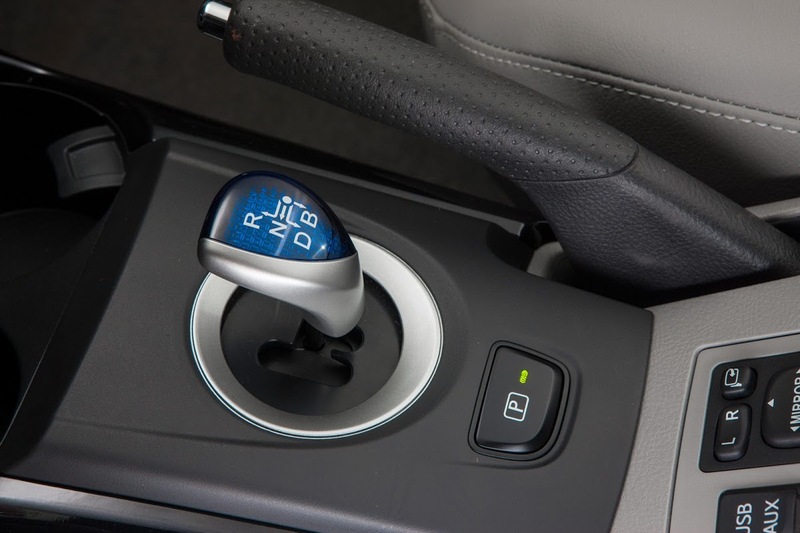 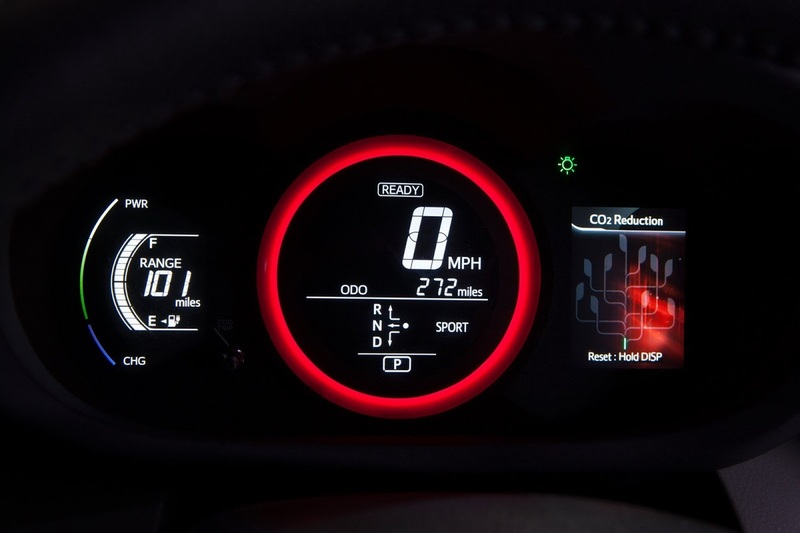 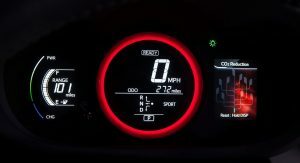 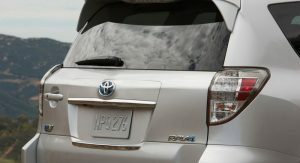 Toyota says that when Sport mode is selected, the RAV4 EV reaches 0-60 mph (96km/h) in just 7.0 seconds and has a maximum speed of 100 mph (160km/h). 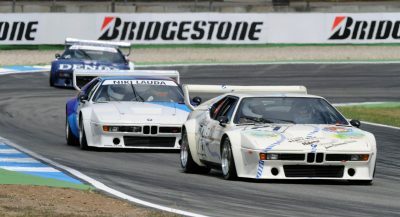 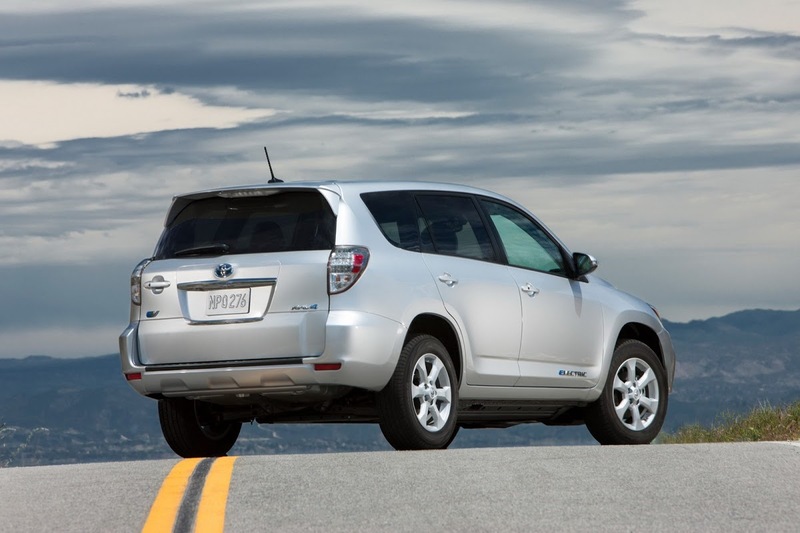 In Normal mode, 0-60 mph comes after 8.6 seconds with the SUV reaching a top speed of 85 mph (137 km/h). 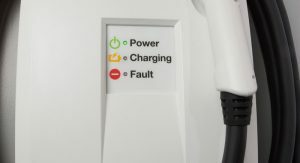 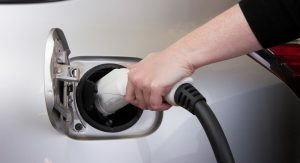 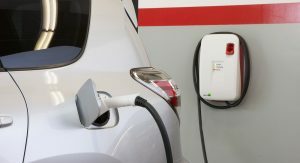 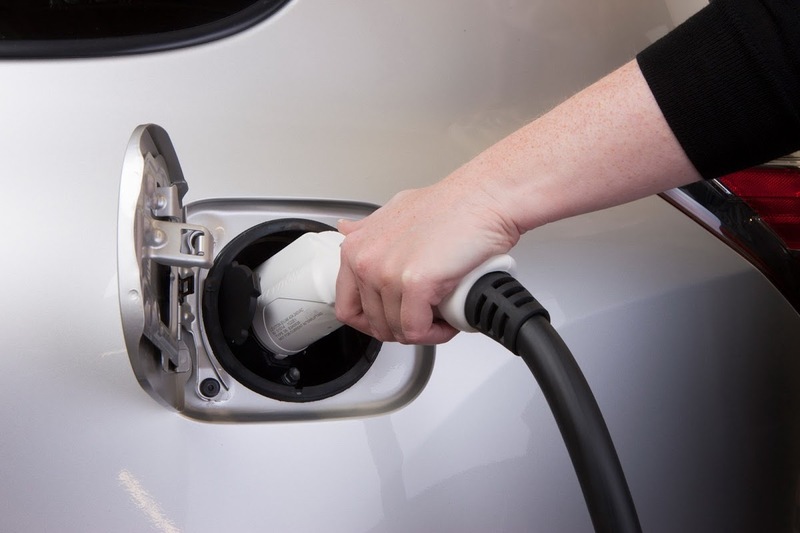 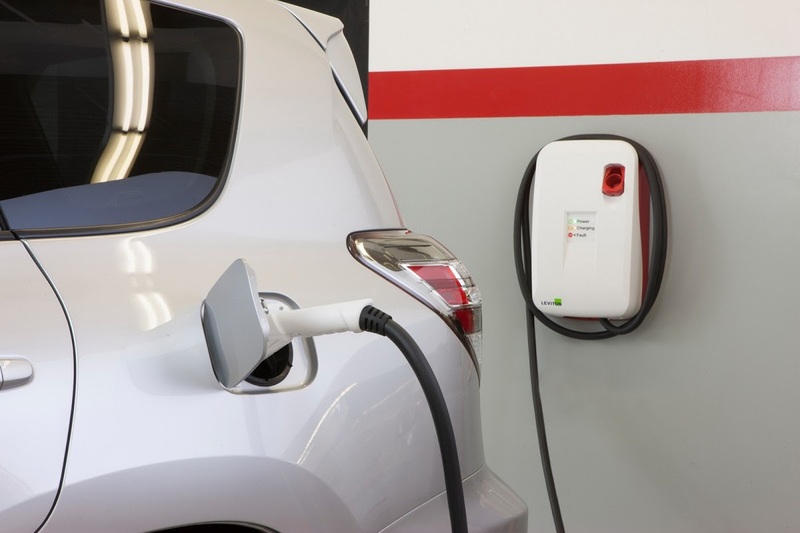 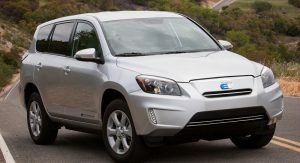 According to the Japanese automaker, the RAV4 EV has an expected driving range of around 100 miles (160 kilometers) and a charging time of approximately six hours on a 240V/40A charger. 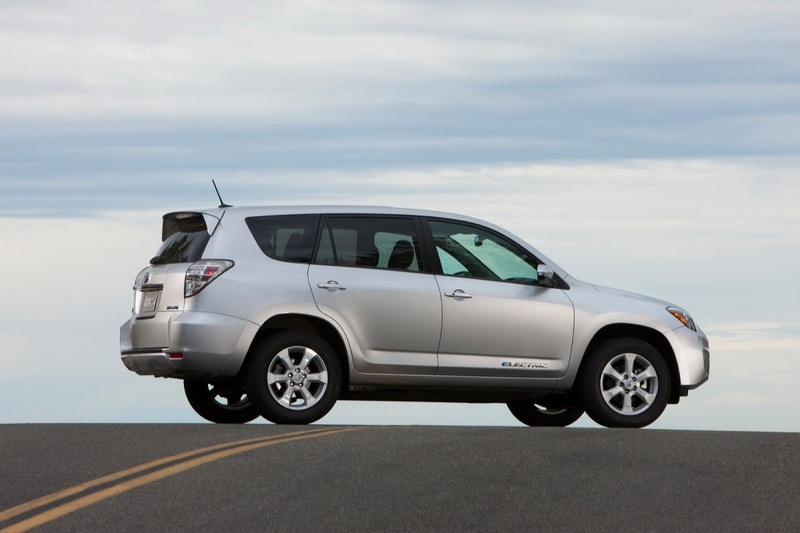 Toyota said the battery warranty is 8 years or 100,000 miles (160,000km). 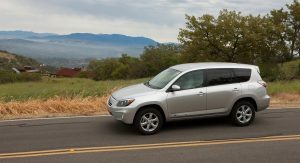 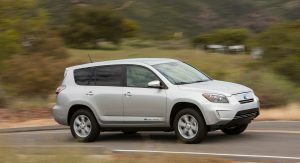 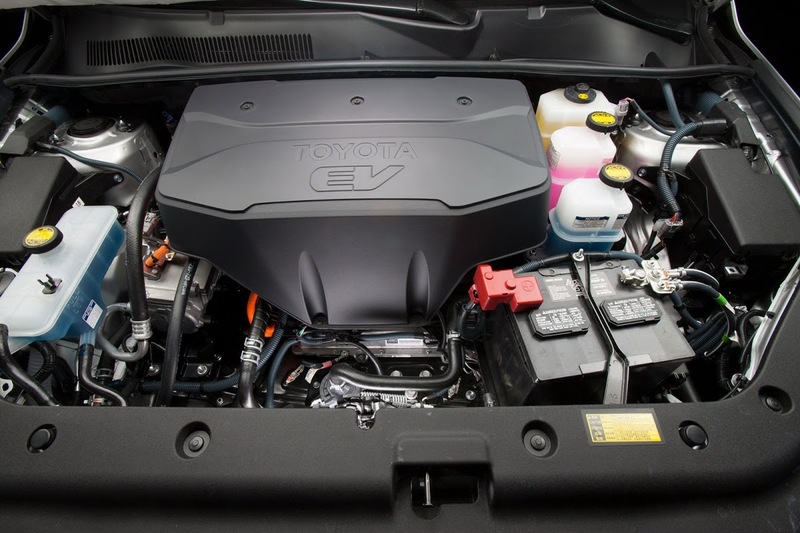 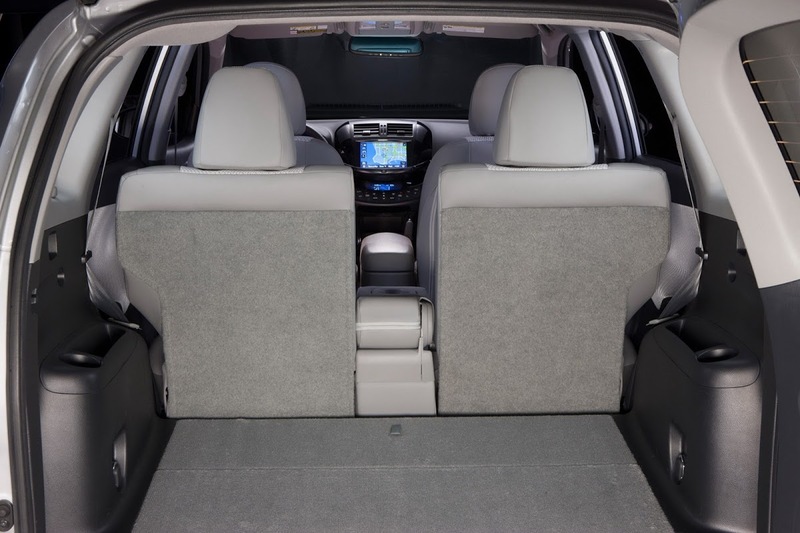 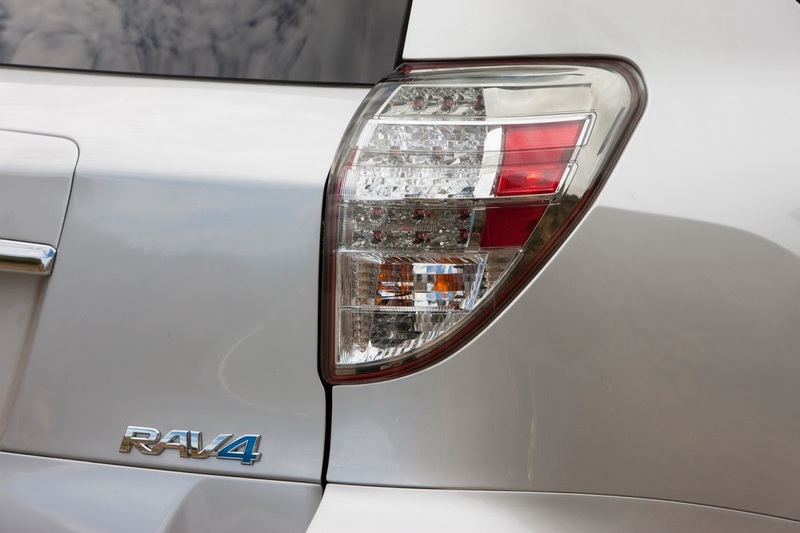 Aside from replacing the regular RAV4’s internal combustion engine with an electric motor and battery assembly, Toyota also made changes to the SUV’s exterior styling to improve its coefficient of drag (0.30 Cd). 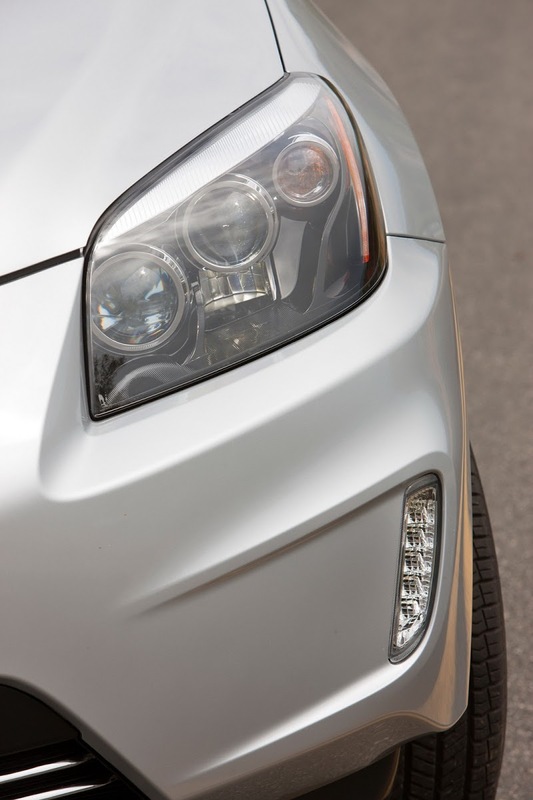 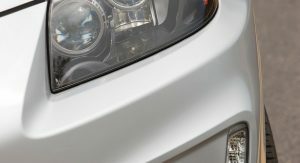 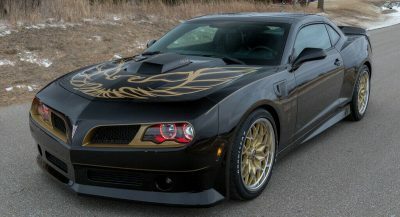 These changes include the re-styled front bumper, upper and lower grill, side mirrors, rear spoiler, and under body design. 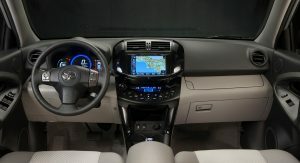 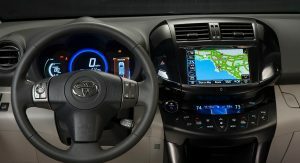 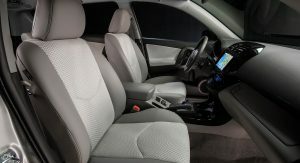 The SUV also features LED daytime running lamps and new exterior emblems in the signature blue hue we find in other eco-friendly Toyota models. 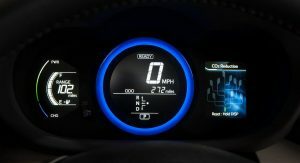 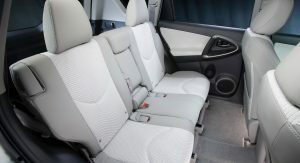 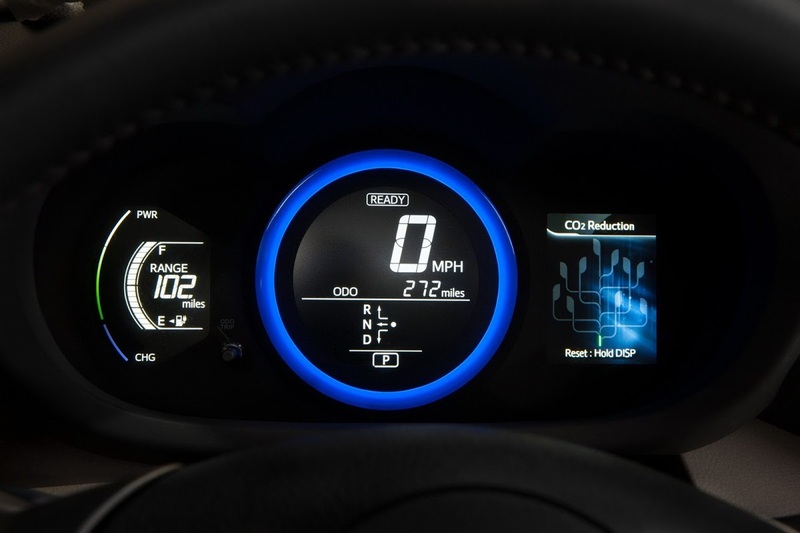 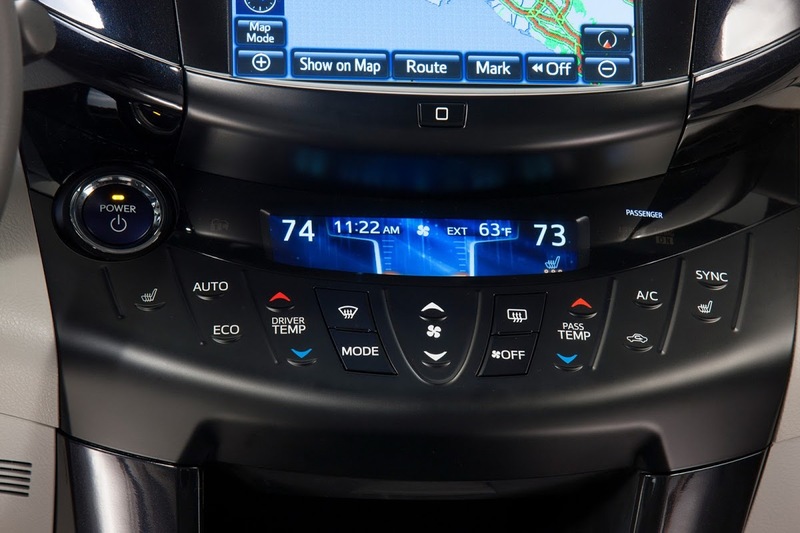 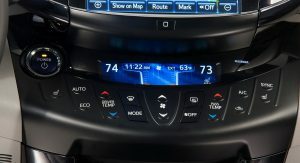 Inside, the EV gets a unique “Neutron” fabric on the seat inserts and door trim, plus a redesigned instrument panel and an eight-inch touch screen featuring navigation, telematics, and EV drive information and settings. 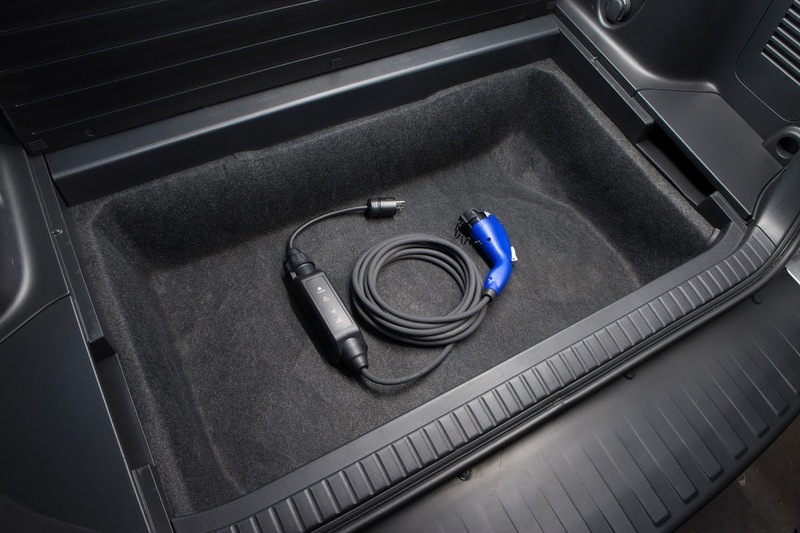 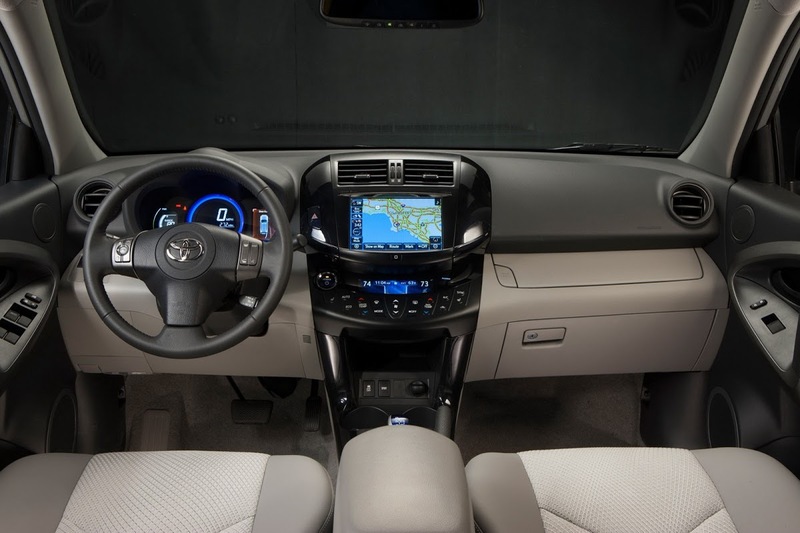 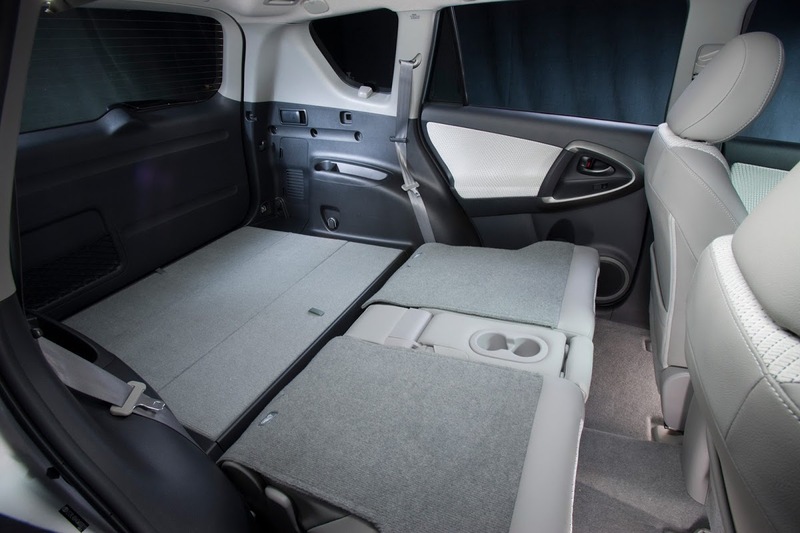 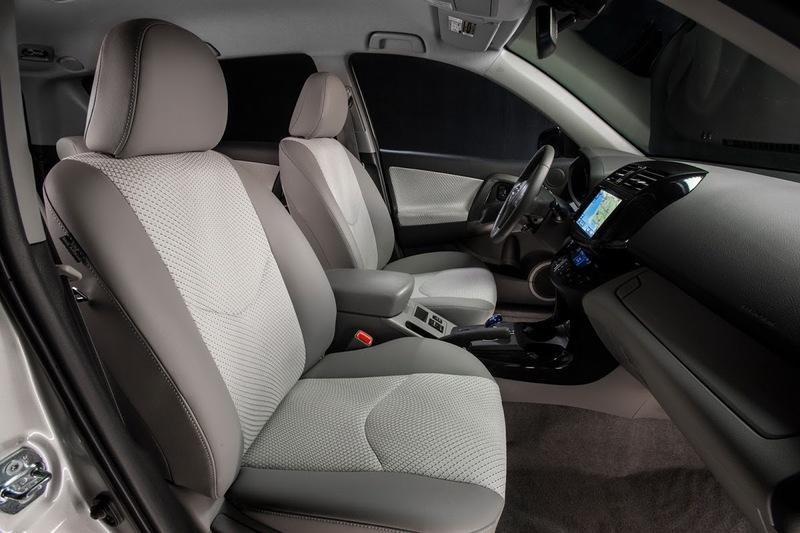 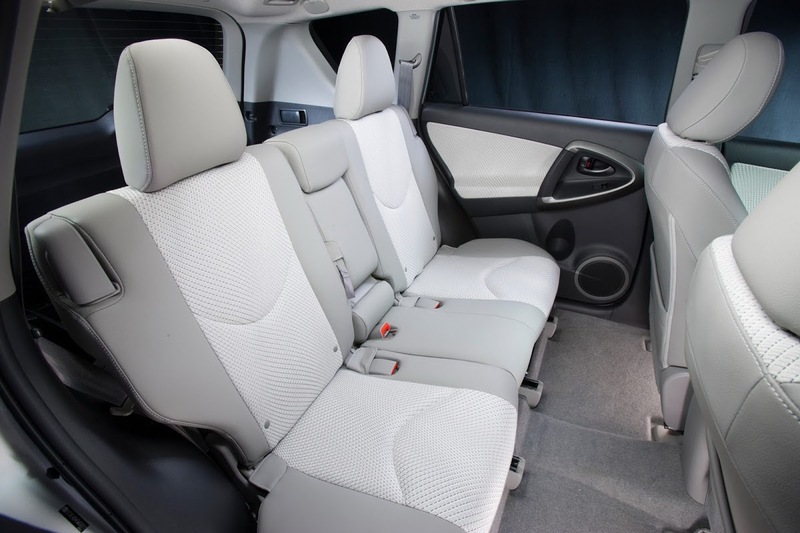 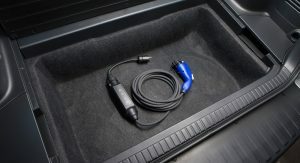 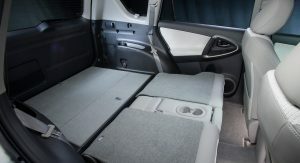 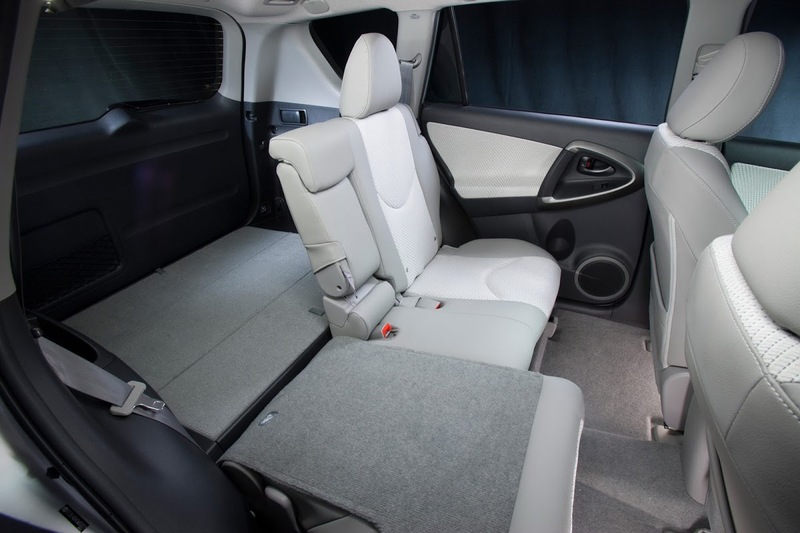 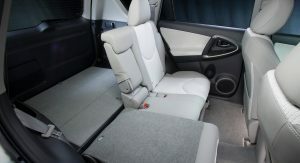 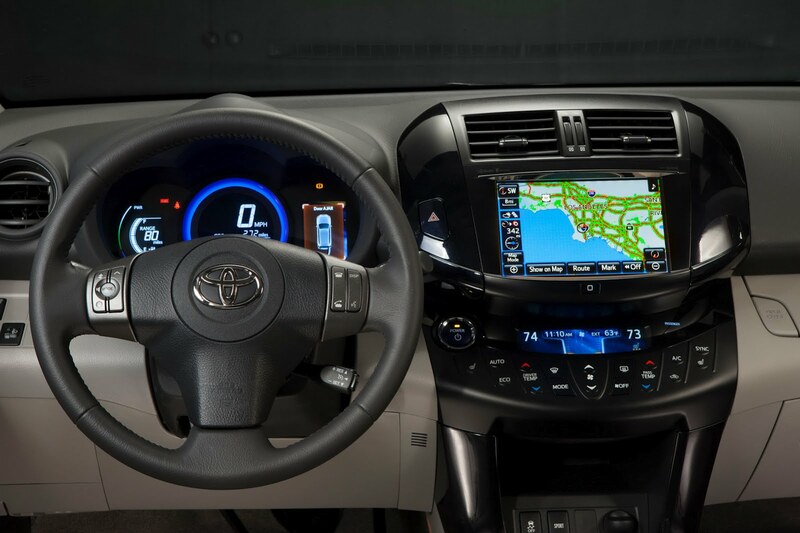 Toyota says that no interior space is lost in the vehicle due to EV components. 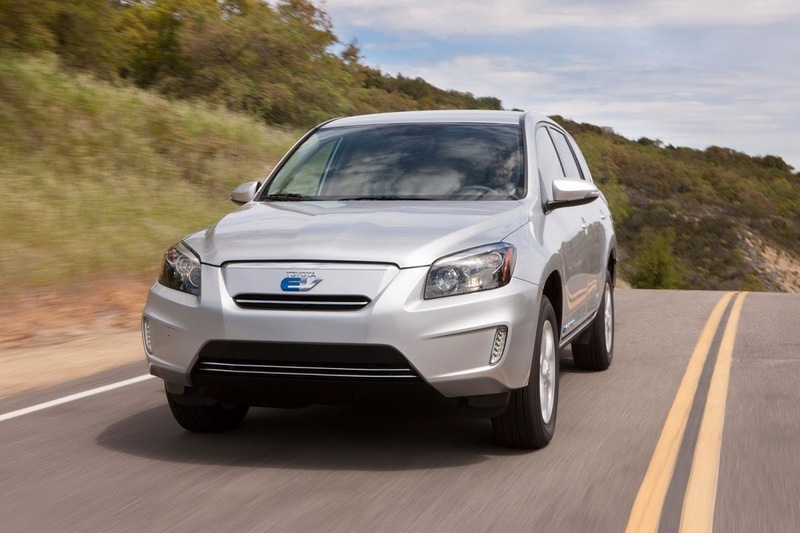 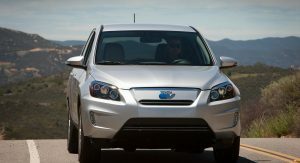 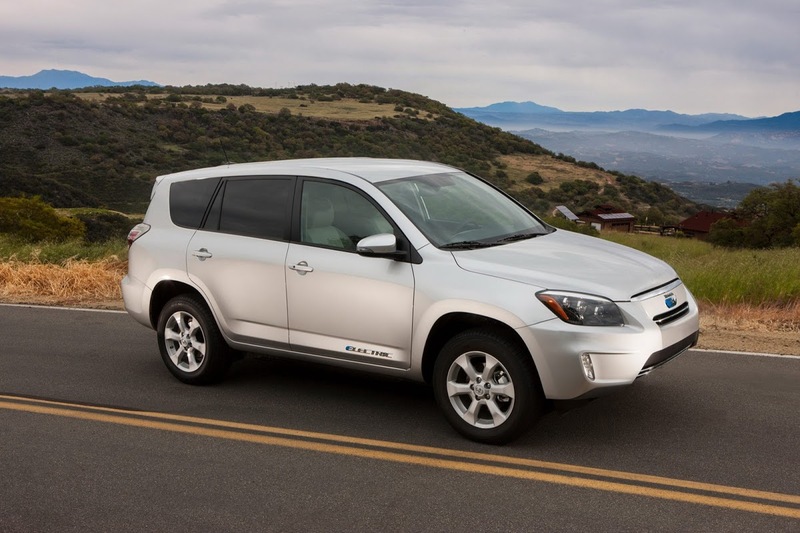 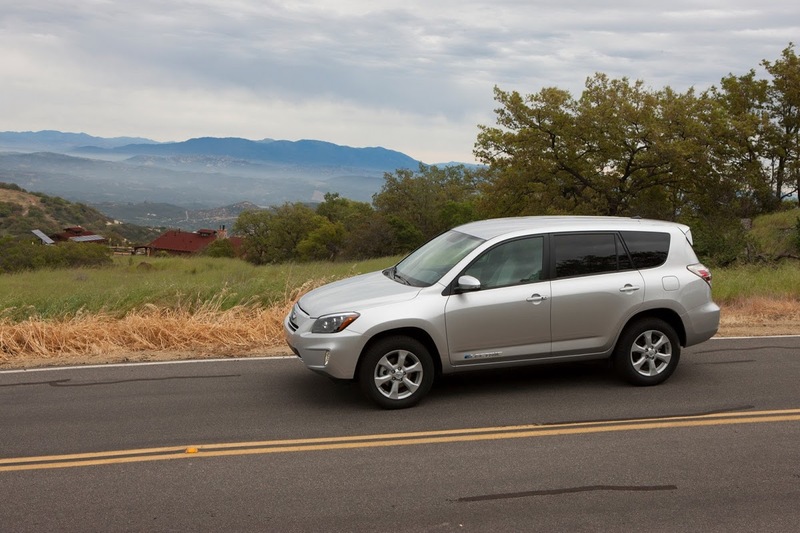 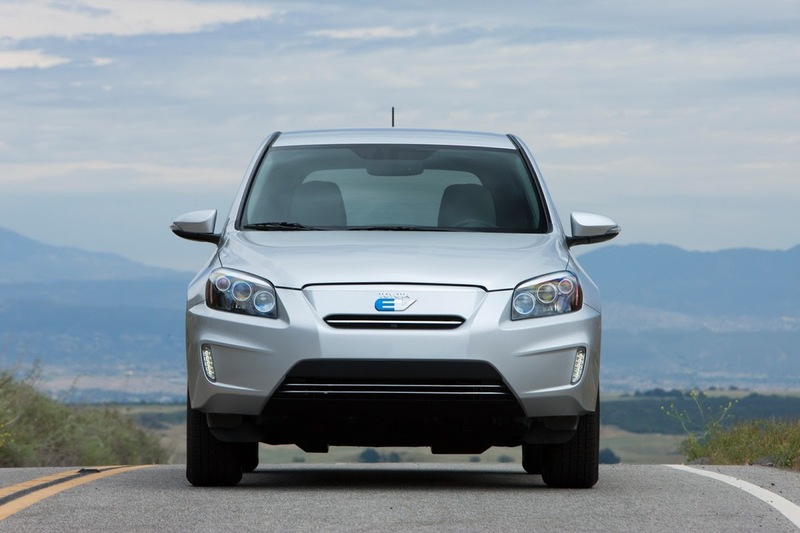 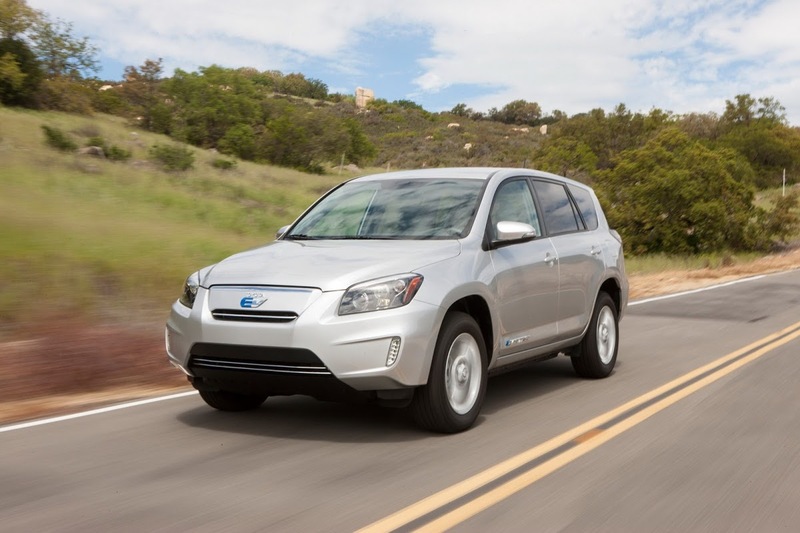 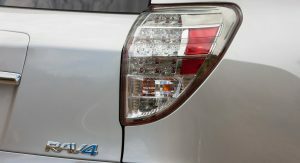 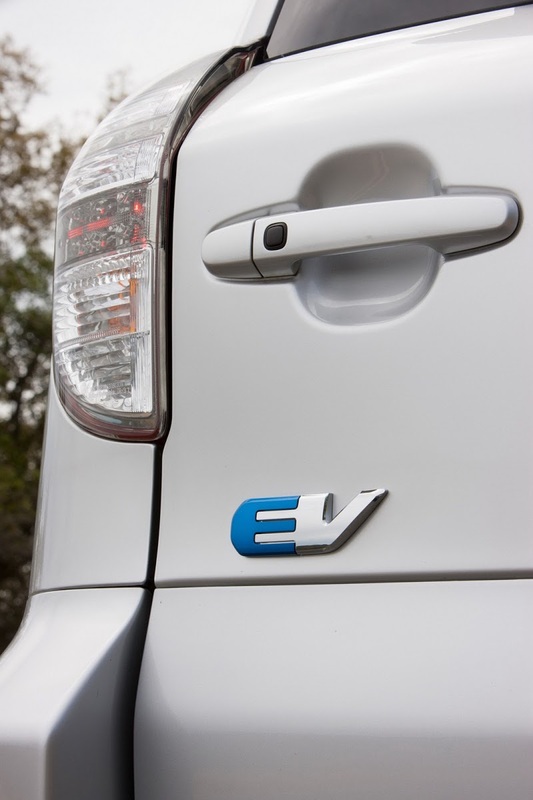 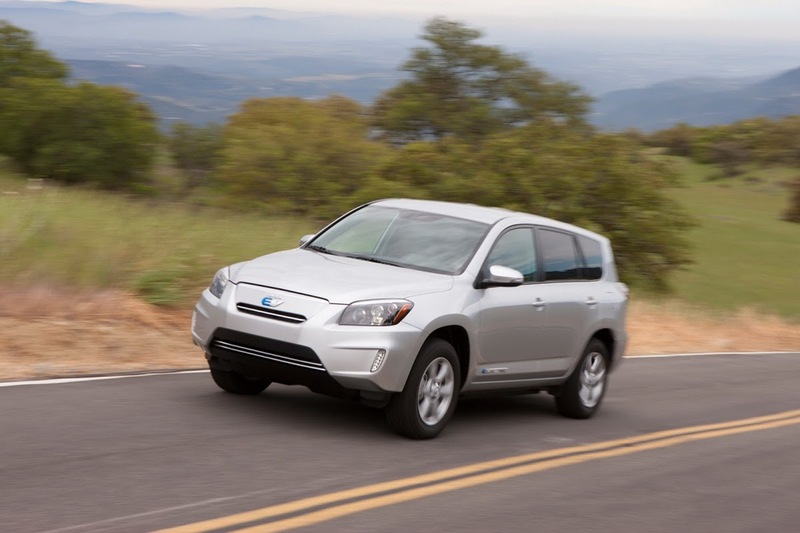 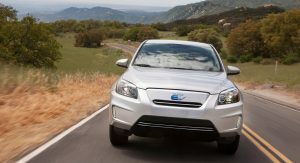 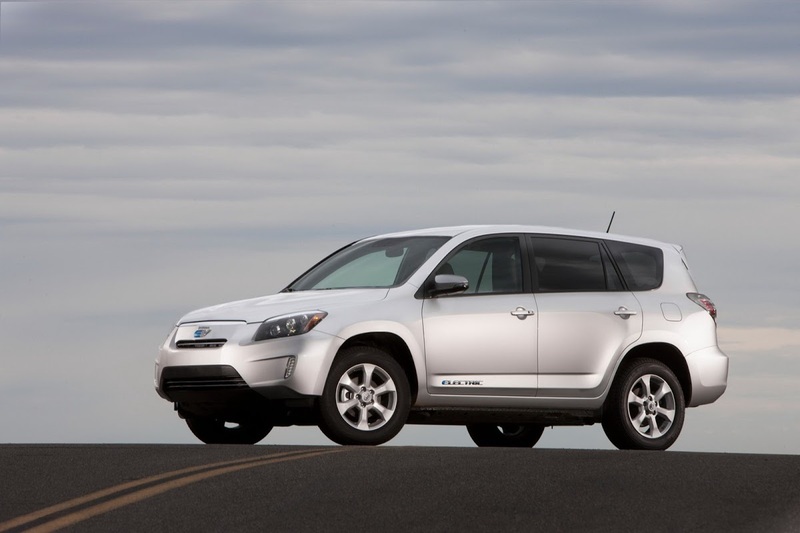 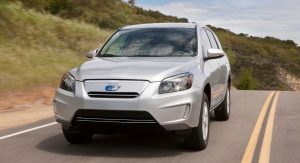 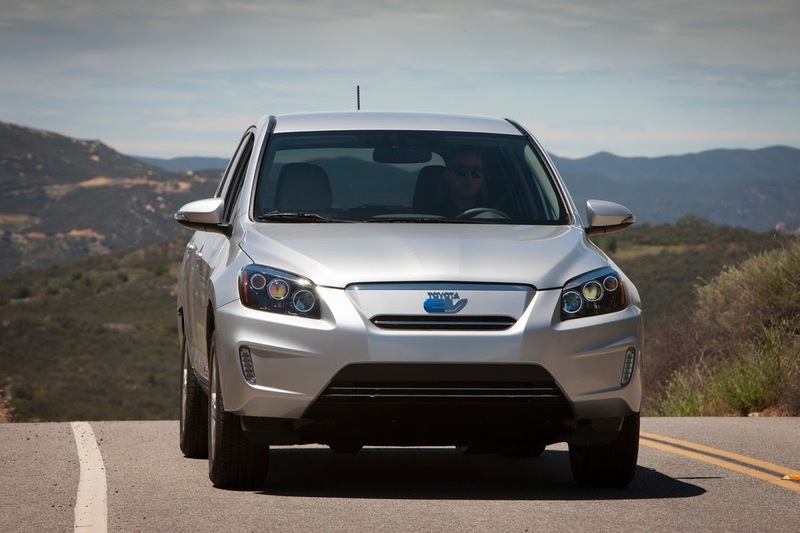 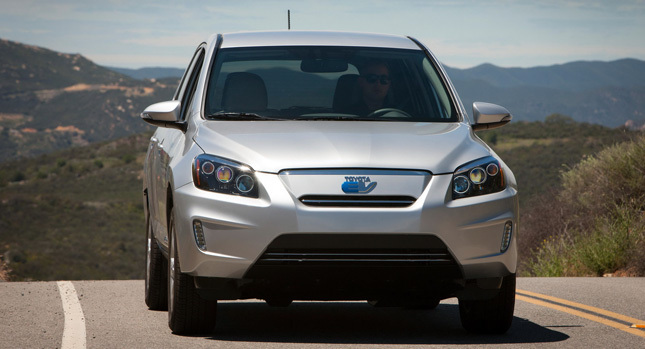 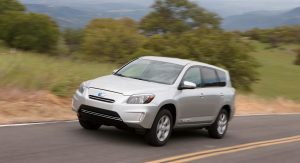 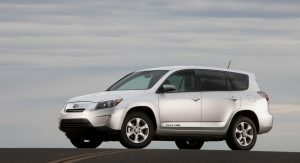 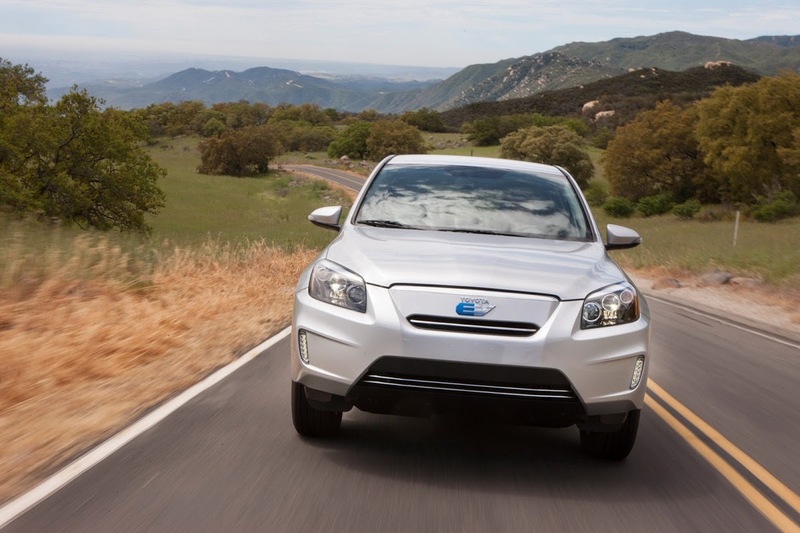 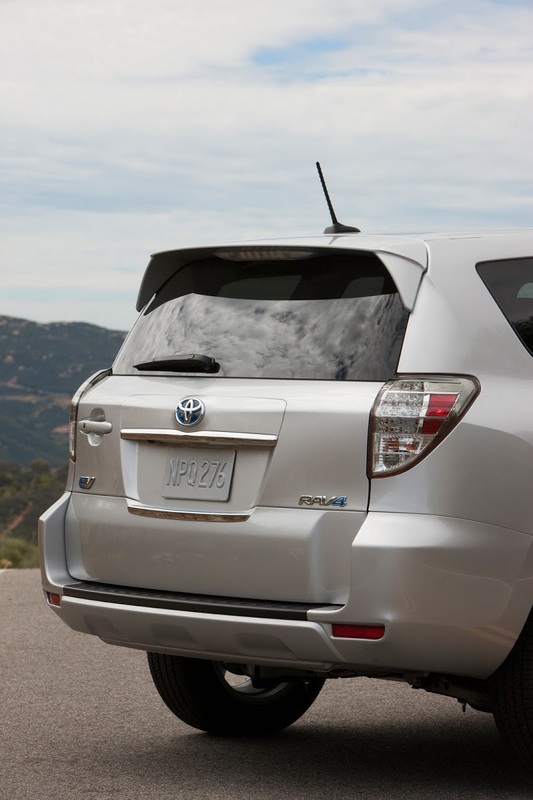 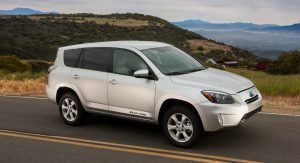 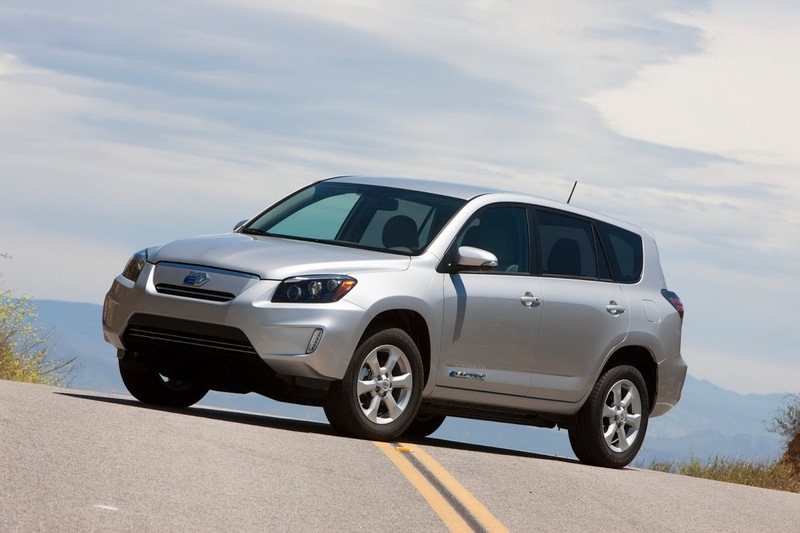 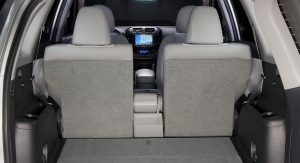 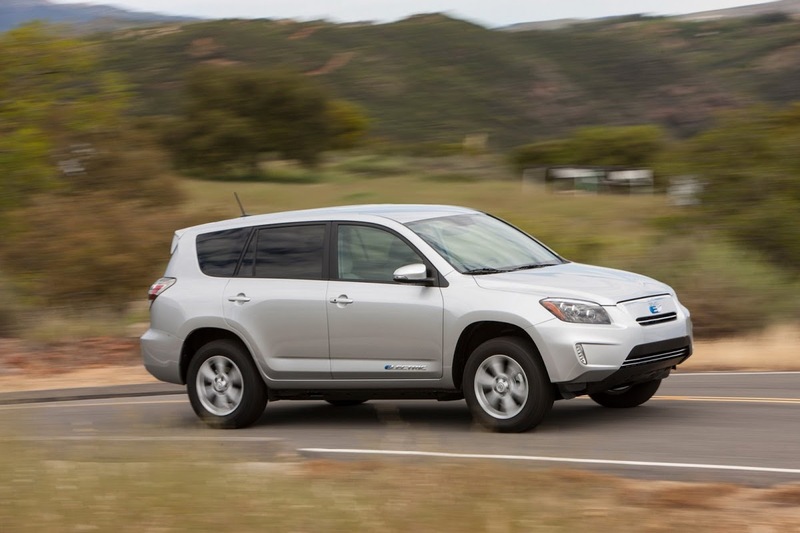 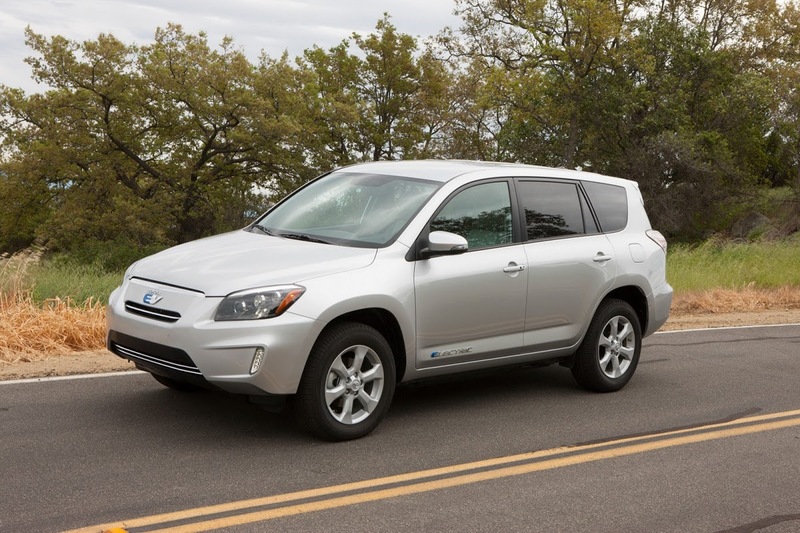 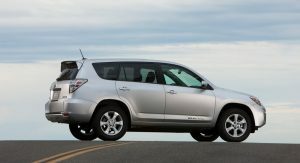 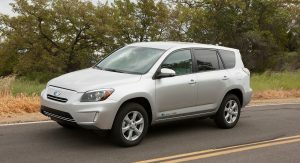 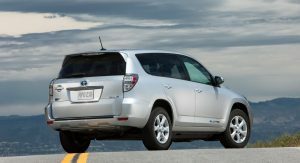 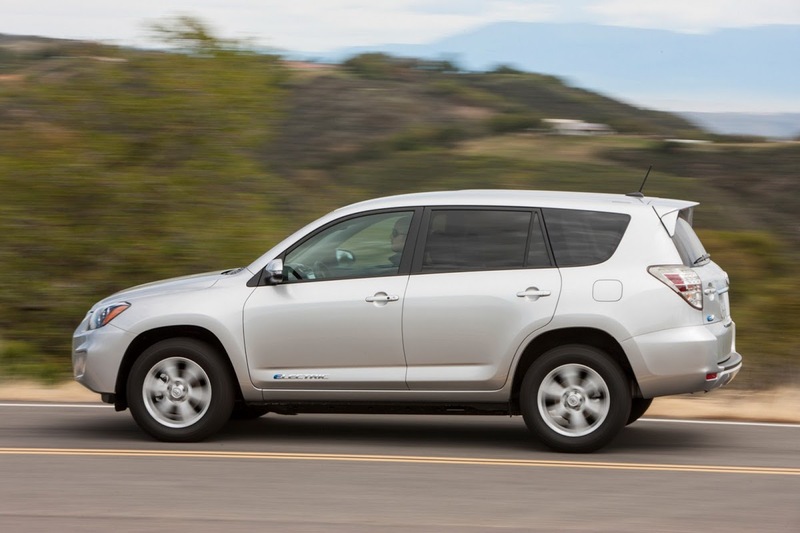 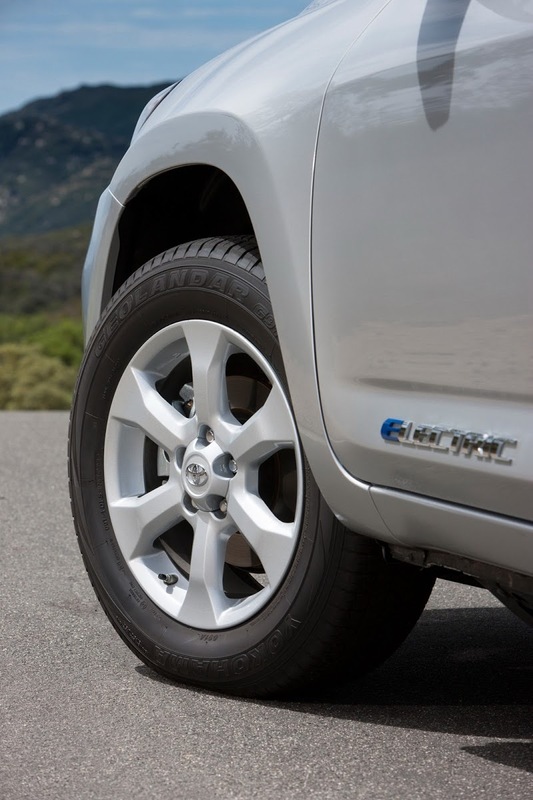 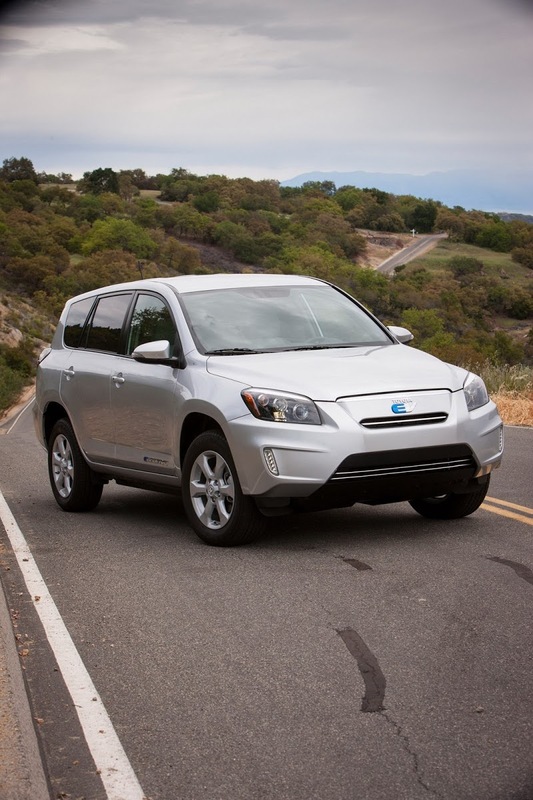 Toyota said it plans to produce approximately 2,600 units of the RAV4 EV over the next three years. 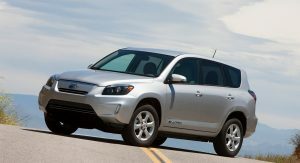 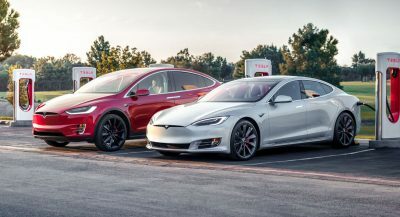 The SUV’s driveline will be built at Tesla’s production facility in Palo Alto, California and then shipped to Toyota’s Canadian plant for final assembly into the RAV4. 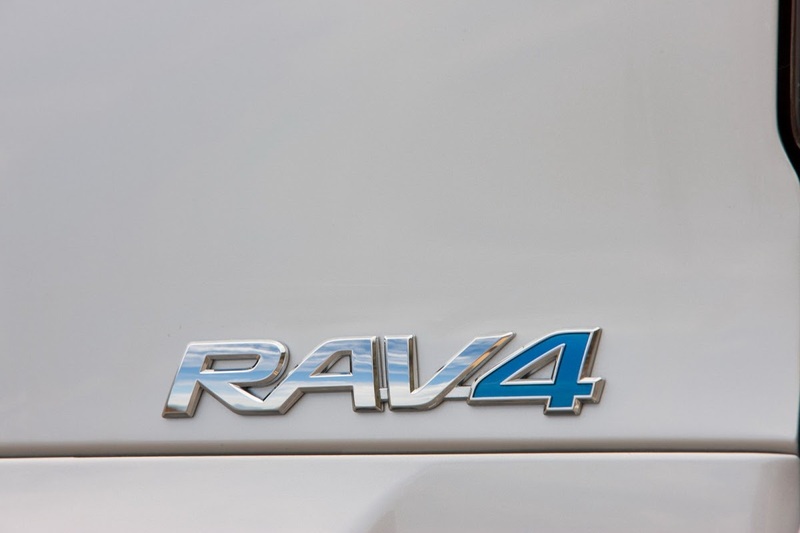 The first RAV4 EVs will begin arriving in late summer in four major California metropolitan markets including Sacramento, San Francisco Bay Area, Los Angeles/Orange County and San Diego, with more cities to be added down the line.